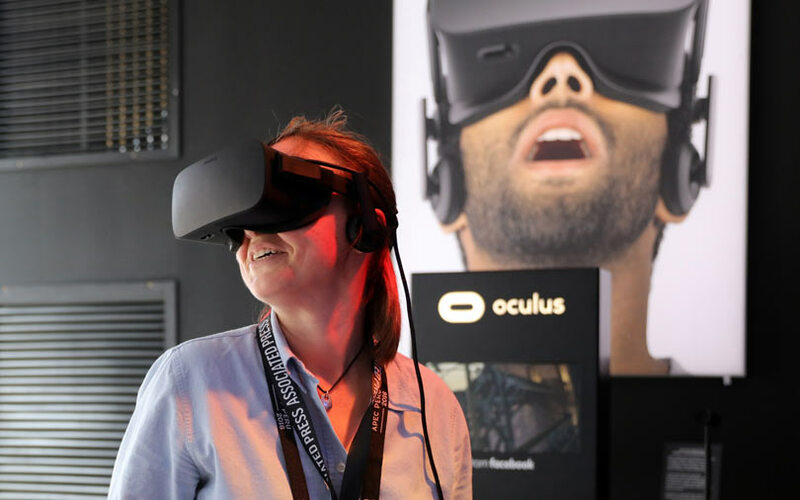 Facebook has reorganised its virtual reality (VR) Oculus team in an effort to speed up its mission to make it more mainstream, according to a TechCrunch report. The social networking giant, which also owns messaging app WhatsApp and Instagram, confirmed the development to the publication, adding that the changes were internal and did not affect the developer community partners. Citing unnamed sources, the online publication said that, although no one was retrenched, the move was designed to eliminate redundancies by uniting specialists. The move is aimed at ending the separation of people into different groups dedicated to particular gadgets. Oculus, acquired by Facebook in 2014, makes both software and hardware gadgets for VR. The reorganisation seems a separation of the software and hardware people into two teams based on the executives' area of expertise. Oculus chief technology officer John Carmack and Oculus co-founder and newly-promoted head of personal computer VR Nate Mitchell will remain in their leadership positions within the vice-president of AR/VR Andrew Bosworth’s hardware wing of the company, TechCrunch said in its report. In late September, Facebook had announced the launch of its VR headset called Quest from the Oculus division. Facebook is building a slew of VR products that are compatible with mobile and personal computers. TechCrunch had last month reported that a new Oculus Rift 2 VR headset is about to be launched early next year. However, Oculus adoption has not kept pace with the company's expectation so far.